To build a healthy food system, we must work to eliminate the disparities and inequities in it. 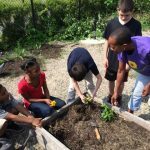 This working group connects PVGrows members to local events and training opportunities related to anti-racism and hosts discussion sessions for members to explore the intersection of race and our work in the food system. 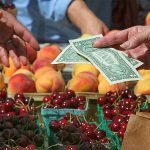 Slow Money Pioneer Valley catalyzes community-based investment in the local food system by connecting investors, farmers and entrepreneurs in order to strengthen our local and regional food economy. The Land Conservation + Access working group is facilitating a regional dialogue around barriers to farmland conservation and land access for farmers and growers, and is working with stakeholders from across the state to develop collaborative solutions to protect land and make it available for future generations.